There's nothing more despised than the blank canvas - so many possibilities, but where to begin? Good news! If you're itching to doodle, draw, paint or design something piratey but are looking for that spark of inspiration, that's where I come in! On a somewhat-regular basis I will post various assignments, ranging from specific ideas to more broad concepts to help start the creative process. This is not an event so there are no deadlines. Feel free to post works in progress for comments and critiques from your fellow Arrrtists! -- Upload it to a website - either your own webspace, or use one of the main free sites such as www.imgur.com, www.imageshack.com, www.photobucket.com, etc, and get the url for the image on that site. -- Ensure that your image is not in a private area that requires log-in to view. Get a mate to check they can see it with your url. -- Don't forget to preview! - if the image isn't showing on preview, check your url and tags. Do you ever get the impression that Ocean Masters have all the fun? We're always asking you to draw our dolls, our eggs. Selfish little Hobbitses doesnts wants to share! It's about time to turn that around. 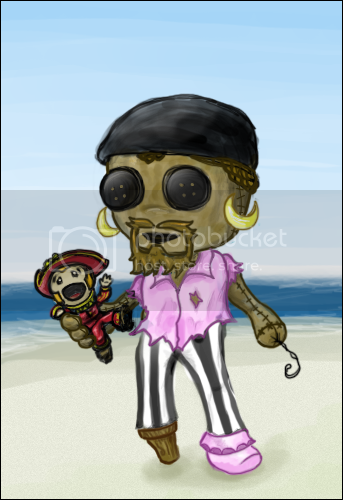 So for the inaugural Prototypes assignment turn your pirate into a doll. How would that look? What would you wear? 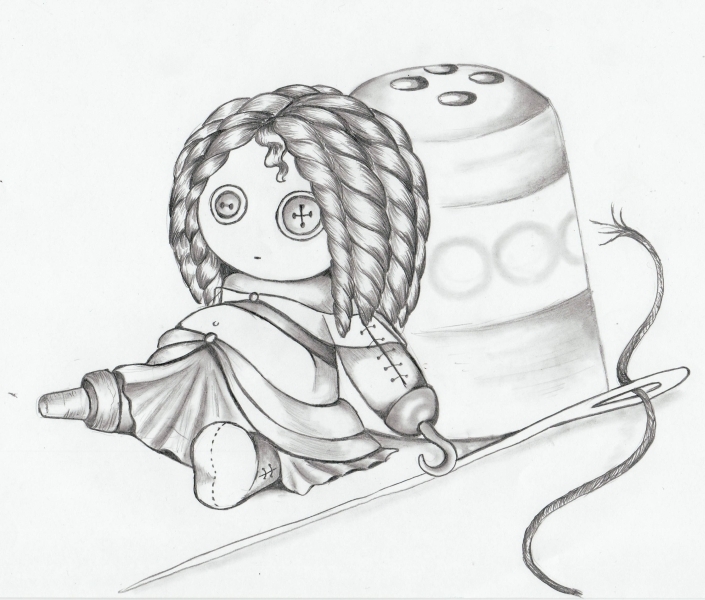 What would your pirate make of a doll in their own image (and what would other pirates do to get it!)? This is your task. 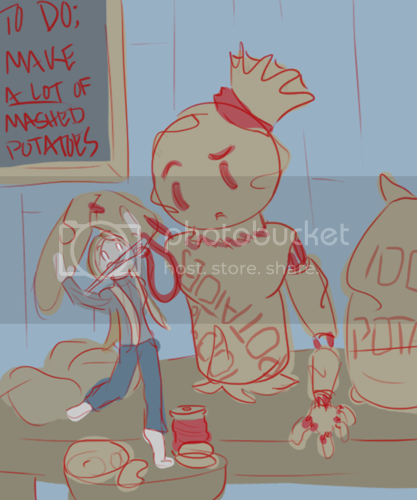 So there was a sale on potatoes and red string at the trading post today. Okay, sorry, silly doodle done. Something better later. Dex has been alone for some time now, and has let herself... go... a little. Some might say she's lost a few marbles, other say the rum has permanently saturated her blood stream so she's drunk ALL the time. Eccentric? Cantankerous? All of the above? I'd speculate that, if Dex were given her own doll, she'd flail it about by it's ponytail until its leg fell off. (She's been trying for 5 years.) You might think she's having another of her 'fits' but I can assure you she's just INSANELY happy. Thanks for giving me a subject to test on my new toy! Diagram on the Emerald Ocean. Luckydrop says, "Diagram is the winner of a swift kick in the booty!" 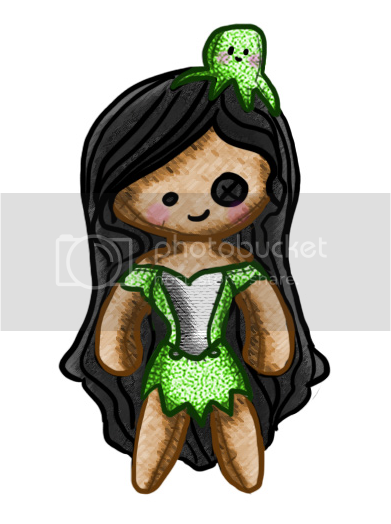 Avatar by the amazing Gneiss!